I have bipolar and under medication. It is under control. Will that keep me from obtaining a CDL and driving for a company? I drive for Prime and had a brand new mattress still in plastic when I got my truck. There was no mattress on my top bunk so I went to the detail shop and was given a new one for my top bunk as well. Thanks Chris I was hoping it would be a new one. After training and the great day you are assigned your truck, will you receive a new mattress? I will be going to Prime. In the spiffy KW I just got at Swift, there was a new mattress. I think it's a legal thing. BTW the mattress is longer than a twin: 42 x 80. Thanks that what I was hoping for. Thank you for responding. Everyone here is great . May I ask one more question. Travel to school is by bus. Can I fly in and if so will they pick me up at the airport? Brain thanks a lot. That answered my question well. Have a question for any Prime student or someone with knowledge. Is the Campus Inn where I will be staying and if so I believe I read that Prime only puts two people to a room. Is it possible to ask for a single room and pay the difference in cost? Do not worry about pretrip, hours of service, cargo handling, and such, cause private or co sponsored CDL training covers all that stuff. What do you mean don't worry about those? Of course you worry about those. You want to learn that stuff now while you're sitting in the comfort of your own home and you have time. You don't want to wait until you show up for training and then have to cram it in all at once. Now is the perfect time to learn all of the materials. The reason I built the High Road Training Program is because the training at these truck driving schools is all about cramming as much stuff in your head as fast as they can and rushing you through the exams before you forget. But that's obviously not the best way to learn a large volume of materials in a way that's going to stick with you and be useful on the road when you need them. The training you're doing isn't for just passing a test. The training is so you know how to do your job when the time comes. And you're going to need all of the materials in the High Road Training Program or they wouldn't be there. 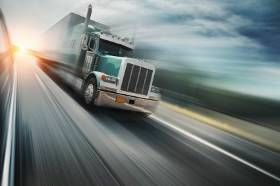 Get the entire course completed before you begin Truck Driving Schools or Company-Sponsored Training if at all possible. That's going to give you the best possible chance at a successful start to your career and prevent a whole lot of stress. As far as getting the endorsements, you can get them as soon as you get your permit. You can even take them all at the same time. The Hazma is the only one that will cost more and take more time because of the fingerprinting and background checks. But the others are just a short written exam that costs very little (how much will vary from state to state) and take about 20 minutes each to complete. Thank you so much for the training site. I am 61 years old and just getting started. You have really made training excited and everyone responding is so nice and know they were in my position went through the training when getting started. I am sure you have this somewhere but please help me understand the CDL permit. In the next few months I will start my driving and training with Prime. They are in Springfield MO and I live in North Carolina. Should I get my permit here in NC before going and then study and train in MO for my CDL. I am confused which state my CDL should be listed or does it matter if you live in one state and your CDL license is through another state. Hope you understand my question. I can wait and get the permit and CDL in Springfield MO. Hey Steven. The only thing I know of that would stop you is the medication itself. As long as the medications you're taking are approved for commercial driving you should be good to go. You should be able to speak with your doctors to get an idea of whether or not your medications might pose a problem. Ultimately whoever gives you the actual DOT physical will have to sign off that you medication is suitable for commercial driving. Depends on WHAT MEDS you're on - whether those meds are prohibited by FMSCA. My Dad was on Lithium for BPD for decades - that wouldn't present an issue. If your meds have a warning label about "cars and machinery" - your meds may come into question. And in all honestly - psych meds are always a "crap shoot". If you are stable on your current regimen, but those drugs happen to be on the "no-go" list - it could be quite some time and changes in meds, before you find a combination that you are stable on - but are NOT RESTRICTED for driving. Whatever medications you're on - will have to be approved by whatever company you are applying to's safety department - as well as a "medical opinion letter" from your treating physician. In the case of psych issues - this is going to need to come from a PSYCHIATRIC PHYSICIAN (specialist), not your PRIMARY PHYSICAL, and will have to state: the condition, what meds are being used, is your condition stable with treatment, and does the doctor feel that you could safely operate a Commercial Vehicle. Good Afternoon Everyone, first I want to thank you all for your assistance. This forum is so much help and has a lot of information from great people. Hey Steven join the club! I'm 61 and just start school with Roadmaster. I'm doing the training on weekends because I'm still working my 35 years job in IT. So far it has been great! I find myself thinking about driving all the time! Good luck! Best of luck to you Steven. Pretty much - you can continue to drive, as long as you can pass a physical - vision, hearing, diabetes, BP. Stay healthy - get a little exercise - watch the bad eating habits that "road food" can create (or exacerbate) - and you can drive, until you no longer can. There's no age limit here, except for 21 & over. I have already began a diet and walking on a treadmill. Thanks for knowledge. Hey Steven, welcome to the forum! This is by far one of our most often asked questions, and some of the younger folks in here think we have got an "old geezers" club working in here just to keep up with the responses to this question. The truth is that age is a not a factor in this career. Many of the companies actually prefer having more mature folks in their equipment because time has proven them to, in many cases, be a little more careful when taking care of someone else's very expensive stuff. There are other positives too. This career requires being away from home for extended periods of time and that seems to be easier for the older folks to do than the younger ones who have young growing families. Sometimes even just the life experiences of a person who is trying to get a second career started will help them tremendously in this career. When I started my first truck driving job there was another gentleman who was getting hired the same day as I was and he was 72! Since then I have met several professional drivers who are still at it even though they were in their eighties! I have changed my truck driving job one time, and I can't tell you how well received I was at the orientation, even though I was definitely the oldest one in the group of nine drivers that were there for new positions. I sailed right through while about half of them went back home for one reason or the other. Prime is a great place to get started and they have some of the highest pay for rookies in the industry. We've a ton of information about their program. If you will use the search bar at the top of the page it will search this site exclusively and provide you with hours of profitable reading about Prime. Welcome aboard, and put those fears behind you concerning your age. Jump in here and feel free to ask us any questions you have and we will do our best to point you in the right direction. Thanks for all of the great information. Reading about the drivers older than I gives me a feeling that I will be successful. Anything I do I give it 110%. I always listen and learn and if I am shown a weakness I immediately begin working harder. I had a career in Law Enforcement and the day I started I was 32 years old and everyone called me Granddad. Well after 16 weeks of intense training Granddad finished second (2nd) in the class and missed being first by one half of a point (1/2 point.) There were 35 students that began the school and approximately 28 students finished. Most of the students had college degrees and all were in their early to mid 20's. Yes I had to study and train harder but in the end it was all worth it. I just turned 61 years old. Am I too old to start a new career? I have zero experience but after studying different trucking schools I would like to begin with Prime. One year after training would be a short time to pay back your loan. I have read a lot about Prime and I like the idea of the extended training. Good luck with your plans Steven. I'm sure it will be a great adventure! Steve, Check this out (Another forum topic): Iam to old. No you're not. Don't count yourself out just because your birth date is earlier than 1990. Hi Steven.....and welcome.......I've put this answer in other posts.......but I can honestly say I did my training at Swift with a guy that was 82 years old and had never driven a truck in his life. He was fit enough to go OTR (over the road) and as far as I know is still working two years later. I wish you the best of luck sir......and just as a foot note....I'm 57. Thanks so much. I hope to call Prime within 30-60 days.